The EXO system is named for the signature hand-welded 304 stainless EXOskeleton that forms the basis for our designs. These grills share both the aesthetic of our longstanding Architectural Series and scale and strength of our flagships the Infiernos. 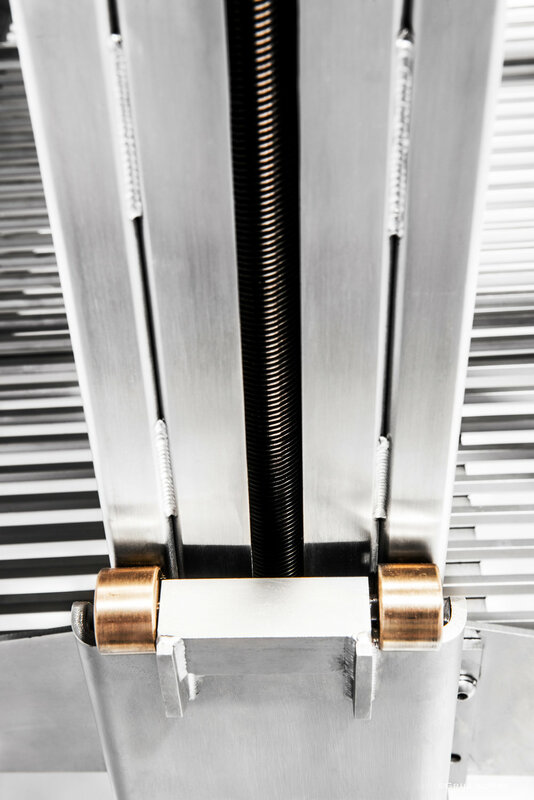 Developed for - and with years of feedback from - the most ambitious chefs and restaurants, EXO is our ultimate built-in statement, Like the Infiernos, these grills have lift systems driven by our patent-pending chain-and-gear drive, ship with overhead resting areas, options for suspension bars, rear shelving, rotisseries or fire cages. And because they are open and intended to be part of a kitchen designer’s vision, their custom potential is virtually limitless. Like all of our grills, the EXO line comes with our signature V-channel surfaces, which can be swapped by section with any of our additional accessory surface options, including screen mesh, round bar, solid plancha and - coming soon - cast iron. 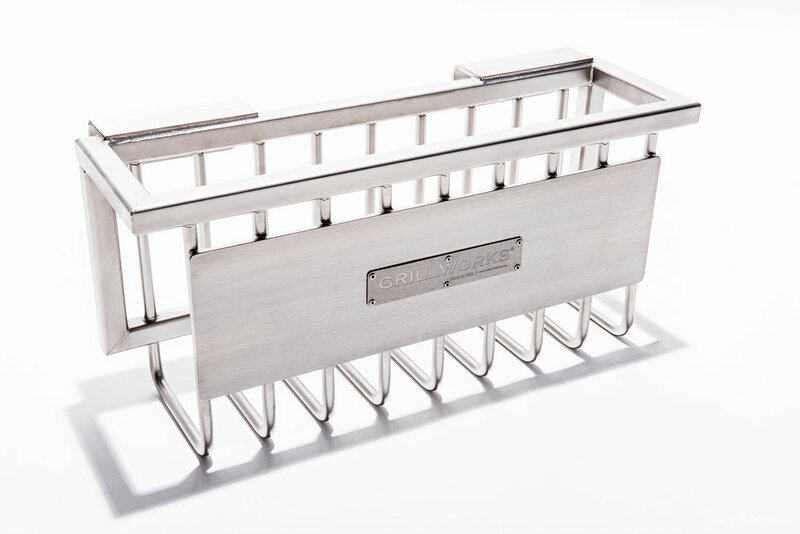 The rear frame rail of the EXO is designed to support a fire cage (standard) or shelving with swappable bar and mesh surfaces, perfect for holding, slow smoking or searing at the rear of the enclosure. Our EXO system grills come in several standard sizes, beginning with the EXO 40 single-wheel model, and continuing up to the EXO48 Dual, the EXO60 Dual and the EXO72 Dual. Of course they are available in custom dimensions upon request, just expect price and lead time differences. Drawings are available for planning purposes, and can be provided along with quotes from orders@grillworks.com or you may call 855-434-3473. The EXO System comes NSF listed and approved, and once installed can be UL/ETL listed (call for details). THESE UNITS DO NOT COME WITH UL/ETL STICKERS. As they are destined to be installed in enclosures designed by masons or contractors selected by the customer, they must be individually inspected by a third-party such as Intertek to receive their stickers. 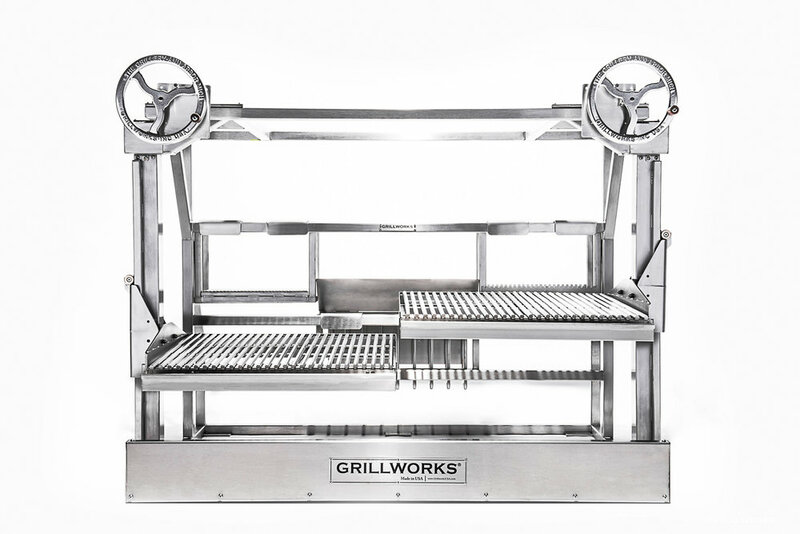 PLAN ACCORDINGLY - Grillworks has no control over these services' schedules nor will pay for certification of enclosures as we did not design or build them. We DO provide the warning plates and build our grills in the materials required by UL/ETL standard 2162, so once all is in place, inspections are often accomplished quite quickly. We WILL help in any way we can to make these processes routine and lend advice. Note that our Infierno line, since it is fully self contained and not in need of an enclosure, leave our shop with the stickers. If you have any concern with building your own enclosure the Infiernos may well be better suited to your project.